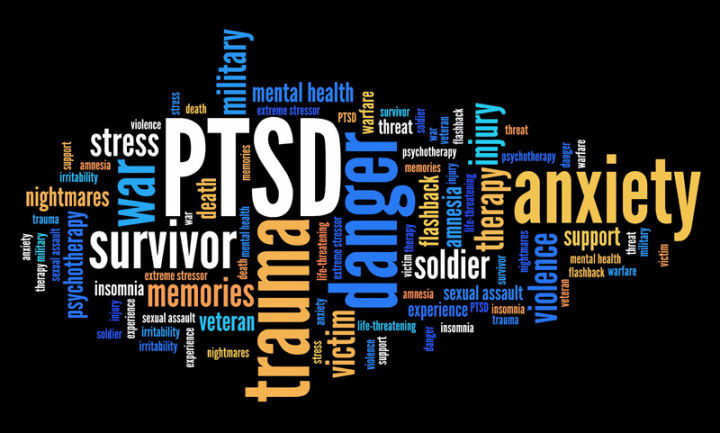 Veterans begin to suffer the problems associated with post-traumatic stress disorder, traumatic brain injury, or other medical conditions that lead to misconduct, and the military wrongfully terminates them with an other than honorable discharge on the grounds of misconduct. The military incorrectly views their misconduct in isolation and fails to recognize that the misconduct is merely symptomatic of underlying brain pathology. In the report, it was found that nearly two-thirds of 91,764 U.S. troops who were separated from the military for misconduct in a recent four-year period had been diagnosed with TBI, PTSD, or other medical conditions. These conditions clearly lead to misconduct. In fact, the misconduct is a mere symptom, or leading indicator, of underlying mental pathology that is often overlooked by military commanders who are anxious to rid their ranks of problematic personnel. The government accountability office opined that the Department of Defense needed to address these issues when considering how to respond to service members facing misconduct charges. The report found that 57,141 troops were separated from the service even though they potentially had a diagnosis that would give a medical explanation to their "misconduct". The problem with an other than honorable discharge is that it could bar one from receiving VA benefits. This is particularly problematic because veterans who are denied for PTSD or traumatic brain injury often experience severe impairments that make it impossible or difficult for them to hold full-time employment. They are also severely handicapped in interpersonal relationships and their lives typically take a downward trajectory, leading to drug and alcohol abuse, suicide, failed marriages, and chronic unemployment. It is important that military commanders and the Department of Defense adjust their protocols and regulations to keep current with emerging neuroscience. Neuroscience now recognizes that subtle behavior changes and even personality changes can occur as a result of a traumatic brain injury, and these types of things often lead to the misconduct and makes a service member unfit for continued service. In addition, neuroscience now recognizes how PTSD impairs judgement, and this also can lead to problems in military suitability. The other major problem that we see is that veterans experience psychiatric difficulties in the context of a military culture that frowns on mental disorders and views them as inherent weaknesses. This means that veterans are discouraged from seeking proper care and treatment and often turn to drugs or alcohol as self-medicating agents to cope with internal psychiatric turmoil. It was interesting to note in the article that the Department of Defense had "little assurance" that military personnel who show signs of PTSD or TBI would receive proper screening and treatment before they are separated. Mental disabilities are particularly difficult because they are largely invisible and they affect one's behavior, and this deleterious behavior is difficult for commanders to respond to in an appropriate manner. Although the acting Assistant Secretary of Defense for Health Affairs questions the accuracy of the reported data in terms of the numbers of veterans discharged with PTSD or TBI, I can say that from my perspective as VA appeals lawyer, that the number of cases involving other than honorable discharges for misconduct that really stems from underlying PTSD or TBI is escalating. Our office represents scores of veterans with other than honorable discharges who have been denied VA benefits. In almost all of these cases the underlying "misconduct" is simply a manifestation of underlying brain pathology or psychiatric illness that is not recognized by the untrained observers who are supervising these personnel. Certainly better medical and psychiatric care and assessment would help, but an awareness on the part of military hierarchy of existing neuroscience and how it affects behavior, judgement, and ability to function in a military environment would be helpful in providing proper care and for exerting appropriate compassion for these individuals who have suffered life altering conditions. There are exceptions to the bar against benefits that apply to veterans who have other than honorable discharges, and in my experience these cases can be won even without upgrading the character of discharge with the service department.